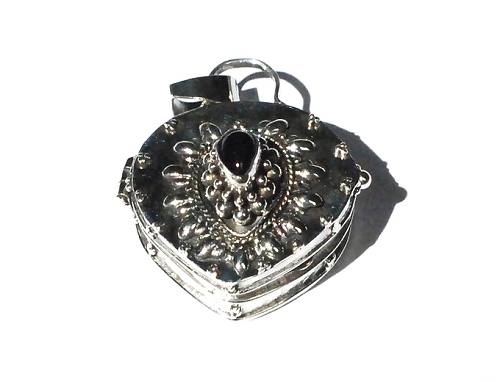 925 Sterling Silver Heart Shape Genuine Black Onyx Keepsake Prayer Box. 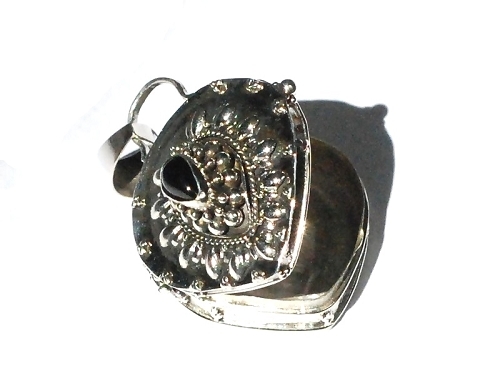 These bali lockets are also known as a poison boxes. The Keepsake box has a functioning lid that opens and closes. The box opens to put your keepsakes. The pendant has the 925 stamp. All measurements are approximate.